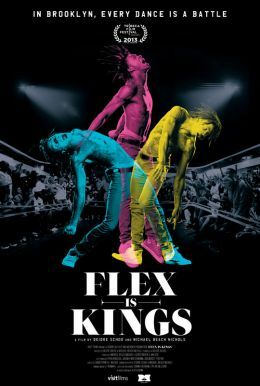 Flex is Kings is a riveting and awe-inspiring look inside the world of Brooklyn street dancing known as ‘flexing.’ Directors Michael Beach Nichols and Deidre Schoo take audiences along on the emotional journey of several young dancers; dancers who vie for a chance to make something of themselves by battling it out through this DIY art form. In the Brooklyn neighborhood of East New York, high crime rates and diminished opportunities have left the young men growing into adulthood with few choices and fewer resources, pushing so many to lives to depend on crime and gangs. On these streets a dance community rose, eager for an avenue of expression and determined to create a positive force in their neighborhood.